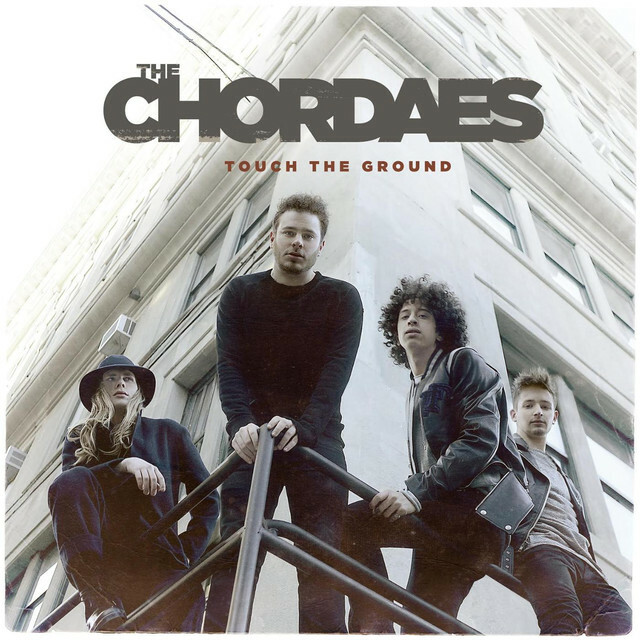 ALBUM REVIEW: THE CHORDAES, "Touch The Ground"
A bright and vibrant production; not-easy-to-pinpoint influences but hooks, structure, melodies and harmonies galore, this debut album from New York City’s The Chordaes, Touch The Ground, sounds like a very seasoned band who are studio veterans. The title track is a sophisticated, radio-friendly (which is what most of these tracks, indeed, are) song in several movements and you can hear fragments of styles ranging from The Beatles, Todd Rundgren and Van Duren with modern touches; “Get The Feeling” has a ’70’s A.M. radio feel, while musically reminiscent of The Wallflowers and is as catchy as the day is long and “Losing Control” has a very lush, almost prog-rock feel. “One” is uptempo and textured with a neat, slightly askew piano riff; “She” is also not in standard chord structure – it almost sounds like two songs playing over each other, yet manage to make it work convincingly and “Baby Goodnight” has a big sound, with delicious acoustic guitars side by side with a subtle piano riff which yields to a 12-string Ric-sounding guitar companion. One could make the argument that this band has genuine hit potential – one listen alone may give you that feeling; two or three listens just reaffirm and solidify the notion. So if The Chordaes are this polished on their maiden ride into the world of recorded music, imagine what could come next.